As someone who likes to cook, I try to stay informed by what I eat so that I may minimize or avoid certain illness or disorders. One of them is acne. 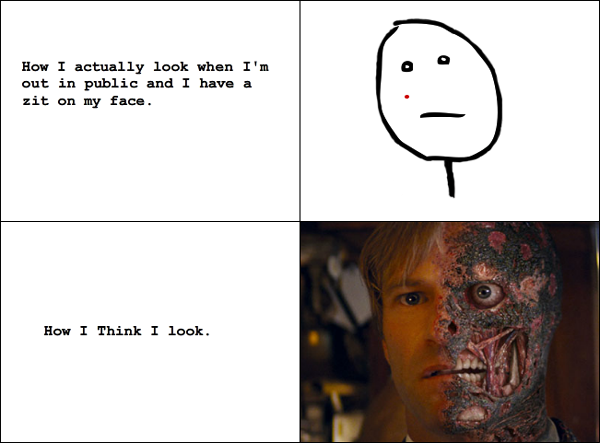 I hate how pimples pop up during the most inappropriate times such as a few years ago during my high school prom. It's not uncommon since most teenagers have to go through this. But it's embarrassing and can ruin what could be a perfect moment. Now that I'm a young adult (in my early twenties), I still have to deal with acne occasionally. I still hate them and I'm still embarrass by having them. Sure there are beauty products that help hide pimples. But what I notice to be the most effective prevention is the diet and food I eat. Just a disclaimer before continuing. I'm not a doctor or a health professional. The materials below are merely informational and should not be taken as professional / medical advice. The materials are results of personal research and experience which may differ from yours. Eat more fruits and vegetables. Aside from vitamins, anti-oxidant, fiber and other nutritional value that's good for you, fruits and vegetables can help keep the skin healthy, smooth, glowing and clear from acne. In times of inflammation (e.g. when you're having a pimple attack), you need vitamin A and beta-carotene to help get rid of acne. So a steady diet of carrots, spinach, and squash is a good start in fighting off pimples right when you first start seeing them pop. source I have a fantastic spinach frittata recipe in this blog. Check it out. Eat more wheat bread than white bread. Whole wheat bread and similar products have more zinc which is known for healing acne. source Other food rich in zinc includes spinach, beans, and mushrooms. There are plenty of ways to cook with them. Just search this site for recipes. Avoid sugary food. This is not so easy for me since I work at my aunt's boba shop and we sell lots of sweet snacks and desserts. But high-glycemic foods such as bread, cakes, sugars and soft drinks (all in the shop) have been blamed for acne in teenagers. . It's a work in progress for me. 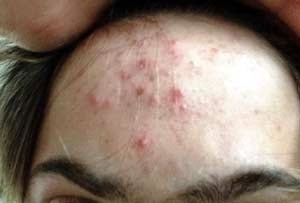 Discover How To Quickly And Easily Cure Acne Permanently...Even If Everything Else You Tried had Failed...Without Drugs, Without Over The Counters, and Without Nasty Side Effects – Guaranteed! Get enough sleep so that you're not stressed out during the day. Stress is damaging to the skin and is a common cause of acne. Notice how you get a pimple during mid-terms and finals? That's because you're stressing out. Change pillowcase every night. Pillowcases tend to store dirt and oil. Our faces will surely rub on them as we sleep and the irritation is enough for many of us to get an acne breakout. To be economical, just buy bunch of cheap white towels from Walmart and wash them every week. You can even flip a sheet over so that you can get a couple uses out of it. Regular exercise. I don't have to tell you that working out is good for your body and overall health. But when things get a little too much to handle, like at work or school, go for a jog or a walk. It helps reduce stress. When showering, wash your hair first then your face. However minor it may seem, making sure that oil and dirt from your hair do not get stuck on face goes a long way in preventing acne. Apply moisturizer a few times per day. Aside from drinking water, using moisturizer will keep your skin hydrated. Wash your face before going to bed and after waking up. Warm water, a gentle soap, and soft towel is enough for washing and rinsing. Mild facial cleanser are available on Acne.org or local pharmacy store if needed. Can You Get Rid of Acne Overnight? Once you get an acne breakout, it's so embarassing to go out in public. I swear that people are looking at my forehead, cheeks, or nose and getting grossed out everytime they look at me. Not a fun feeling. So what can we do when we have pimples growing all over our face? For starters, change your diet and your pillowcases (it's like rubbing your face in dirt and oil if you don't). See above for food that are good for preventing acne. Aspirin and Honey Mask. Get about four or five uncoated aspirin tablets. Put a couple drops of water and wait until they get mushy. Crush them and add honey until it's a thick paste. Put on your face for 10-15 minutes. Rinse and use toner. This method is what I prefer. Coconut Oil. Not so much a DIY, but easy enough to get from local stores or Amazon. It's gaining popularity especially to those with dry, flaky skin. However, it could get pretty bad if you're allergic to coconut oil. So use cautiously. Crushed Garlic Clove. Garlic can make plenty of dish real tasty but it's also good for your heart and skin. As for acne, crush a clove of garlic and smother it on your acne and surrounding areas before sleeping. You should feel the difference in the morning.